When the winter holidays come around do you purchase fresh cut greenery for decoration? Do you dig out last year’s reusable items from the attic? Have you thought about the impact that these items have on our environment and our culture? 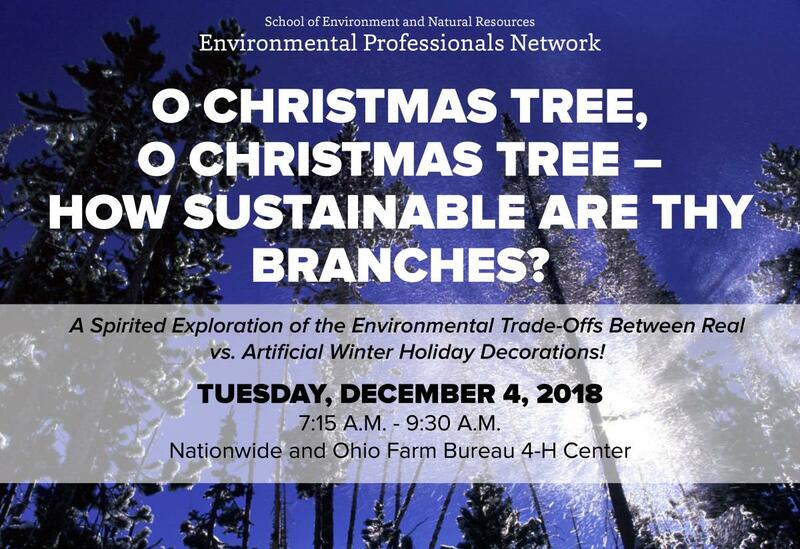 We are excited to collaborate with The Ohio Christmas Tree Association and Ohio State’s Forestry Forum student organization to explore the environmental sustainability trade-offs between real and artificial Christmas trees. Mr. Blake Rafeld (former President of the National Christmas Tree Association) will share market statistics, sustainability implications and cultural trade-offs between real vs. fake trees. Dr. Elizabeth Toman will present a life cycle analysis of real and artificial Christmas trees that highlight the local and global supply chains of winter holiday decorations!